On 12-13 March 2018, GlobeCore hold a presentation of the modern solutions for the electric energy industry (oil processing, transformer and wind turbine servicing) in Oldenburg in cooperation with Maschinenfabrick Reinhausen GmbH and Seifert Transformatorentechnik. The presentation was attended by representatives of 14 companies from 6 countries (Germany, USA, Great Britain, Italy, UAE and Nigeria). 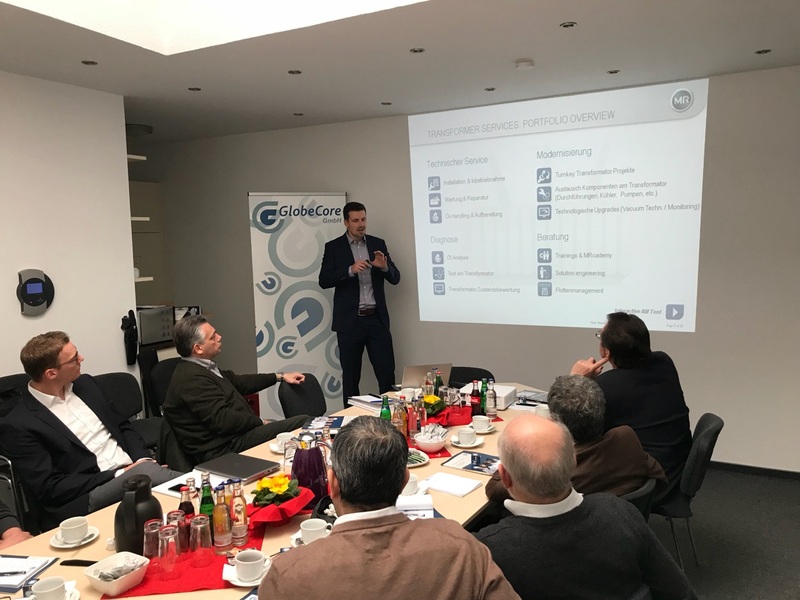 GlobeCore presented information on our equipment for electrical insulation oil purification and regeneration, transformer servicing and wind turbine gearbox oil change. The latter generated much interest from the representative of the alternative energy sector, which were also present at the event. GlobeCore thanks all the participants for their interest and extends an invitation to all to take part in similar future events.